Never trust a redhead, unless they bake you apple pie. We’re moving this weekend. Between me getting sick with a case of whoknowswhat (I’d guess a mutant cold/flu hybrid) and trying to pack while the kids are home and my husband is at work, this week is a whirlwind of crazy. My menu plan is equally crazy, as I try to use up what we have in the fridge so I don’t have to haul it with us. The only grocery shopping I did this week was a loaf of bread and some cereal. Let’s talk about the cereal. I never ever buy cereal, unless I’m too sick to make meals, getting ready to move, or having a moment of crazy – all three of which happen to fit the bill this week. I’m not anti-cereal, I just happen to think that oatmeal or eggs offer us more nutritious whole food for our money. While I don’t shop organically and can’t afford to frolic through the aisles of our local Whole Foods Market, I try to make the best decisions for feeding my family on our budget. Part of the decision for me includes avoiding many processed foods and the bucketfuls of added sugar my kids consume with cereal (which subsequently results in epic meltdowns or scraping bodies off the ceiling of our apartment). I know that from-scratch cooking isn’t exactly everyone’s bag, but I don’t have an excuse not to take the extra five minutes each morning to scramble an egg or simmer oats on the stove. 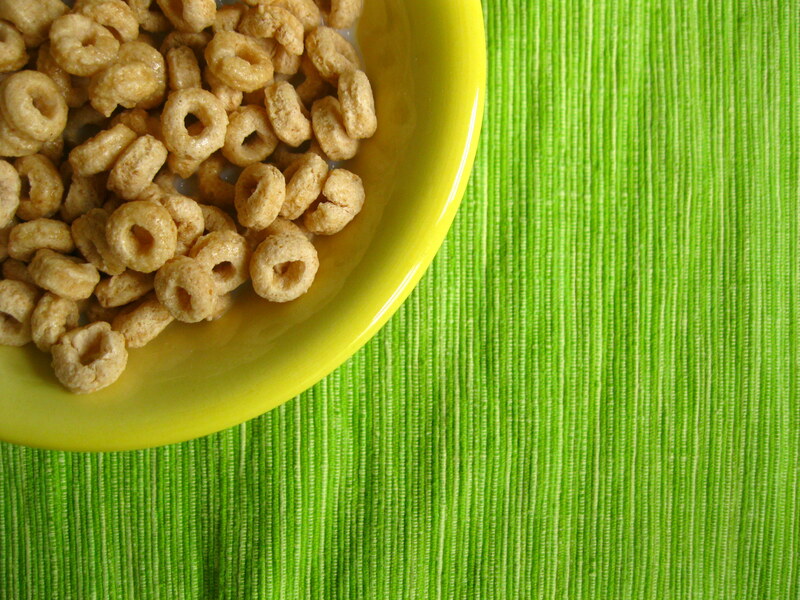 This week though, I barely have the time to sit and type out this blog post… so cereal it is! PS- Just to make it clear, this really isn’t any kind of cereal-hater post. If you’re an on-the-go person with no time to make breakfast or just prefer the taste or convenience of cereal or whatever, I can dig it. I feel the need to fully disclose the fact that, were it not for being so conscious of what I shovel into my children’s bellies and where our hard earned dollars are going, I’d probably be gorging an entire box of Lucky Charms each morning for breakfast. No joke. I lurve me some cereal. What do you usually eat for breakfast? Share with us in the comments section below! What’s on your menu plan this week? Share in the comments section below! If you blog your own menu plan, leave a link so we can check it out. And if you want information on how to plan a weekly menu, click HERE. This entry was posted in Menu Plans and tagged baking, breakfast, cereal, cooking, dinner, DIY, food, frugal, frugality, home, homemade, kid friendly, kitchen, life, lunch, meal plan, meals, meatless, menu, menu plan, moving, recipes, saving, snacks, vegetarian. Bookmark the permalink. On those busy mornings, it’s cereal for us. I try have fruit (banana or grapefruit) paired witih toast or yogurt/granola/blueberries. The weekends are when I pull out the “good” breakfasts – vegan pancakes, eggs – or home made english muffin, egg/bacon – oh yum. My daughter always starts her morning with a yogurt – and then cereal or toast. Yogurt is a must have in our house! I cook breakfast every morning- like you, I have no excuse not to and it’s easier on my budget. My kids are cereal junkies, though– Basic 4, Raisin Bran, Cheerios, Oatmeal Squares… I never buy “kid” cereal (my mom never did either & my kids don’t even ask lol). Once a year we get down with a box of Frankenberry- it doesn’t get any better than that!!!! Hope the moving went ok, I don’t envy you – moving brings out the Hulk in me (in terms of rage, not so much turning green). Not good.